To my great pleasure, Kari Stenman Publishing has re-issued another volume in the Finnish Air Force History series. This time it is Volume 10, the Bristol Blenheim. 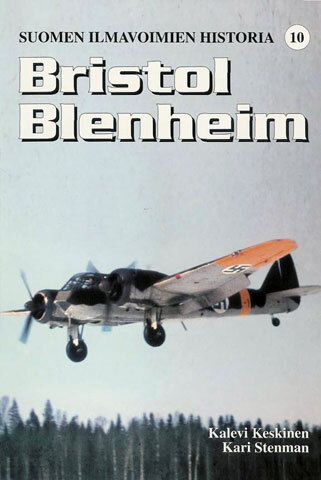 On 6 October, 1936, Finland became Bristol’s first foreign customer for the Blenheim. 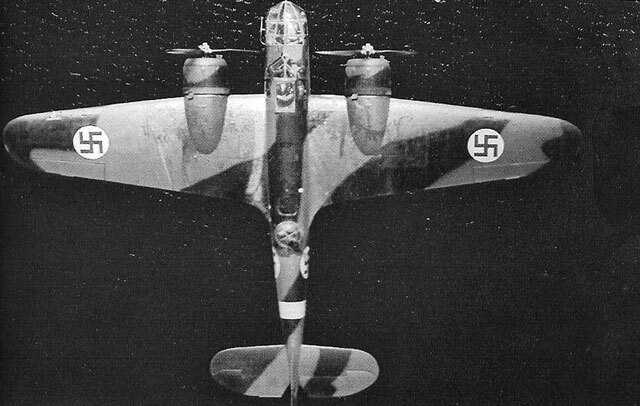 Between outright purchases and those built under license by the Finnish State Aircraft Factory (VL), the Finnish Air Force acquired a total of 97 Blenheims. The Finns flew both the Blenheim Mk. I and “long nose” Mk. IV. It should be noted that the Finns gave different designations to VL built Mk. I and IV equivalents. But, considering they only used the two basic types, and serial numbers are the important marking device, it is easy to keep it all straight. As with previous volumes in this series, this one is filled with many excellent photographs. There are pictures of at least 54 individual aircraft. Many of these are shown in their different camouflage schemes: dark green and dark earth, the simple dark green, black and green and natural metal in the post war period. This volume has a good English language text at the back. There is a brief, but good overview of the origins of the Blenheims. There are also sections on the combat service, from the Winter through Lapland Wars, of the four squadrons that were equipped with Blenheims – LLv 42, LLv 44, LLv 46 and LLv 48. Finally, the individual history of each Blenheim is noted. My only complaint is the absence of a section, in English, on the camouflage applications. It would have helped to understand the whys and wherefores of the various schemes and the various underside colors. For example, it seems that the first Blenheims to arrive from Bristol had a single dark green top-side scheme whereas subsequent aircraft from Bristol were in dark green and dark earth. It may have had to do with the fact that the first group arrived prior to the outbreak of war, and subsequent deliveries were after the war began. But I can only surmise that this was the case. Another excellent volume in the series. I highly recommend it to the usual group of suspects - lovers of Blenheims, the FAF or small air forces. The one thing that may result from buying this book is an uncontrollable urge to take out and dust off that old Classic Airframes Blenheim kit and tackle those resin wheel wells. Also, if I remember correctly the In Scale sheet of decals for Blenheims, AC019, is actually for 1/48 scale.